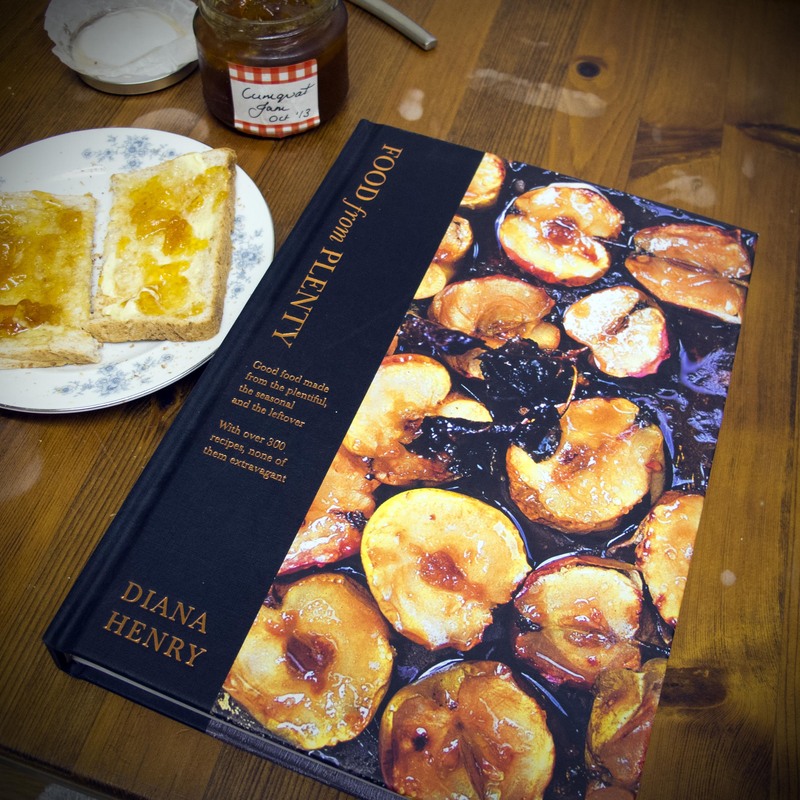 This weekend I’m reviewing ‘Food From Plenty’ by Diana Henry. The over head shot of caramalised apples on the cover of this book is what drew me to it. The colourful shot next to the black spine and bronze text really make you believe that what you are going to find inside this book is a real treat. And it kind of was. I didn’t love all the photography – some felt very cold and too clean which made it looked dated, yet some of it was so beautiful, soft and warm, very real, like the Moroccan lentil soup shot on page 219. I’m not convinced that the photography in the book works, there is such a mixture of styles, so much so that I was convinced that at least three photographers had worked on this book, but no, just one, Jonathan Lovekin. Don’t get me wrong there is a lot of photography in this book that I really like – there is a beautiful graphic, overhead shot of cheeries being pitted which is lovely and messy, high contrast and great shot. I Just feel that the photography in the book is so varied in styles that it doesn’t work as a collection of images. However there are some really inspirational shots in the book that I will definitely use for reference. I also might actually cook something from this book, the stuffed squash looked fabulous!